When I was on Accutane, and even before (when my skin was just being a real pain in the face) I pared down my skincare to the barest of bare essentials. I'd pretty much just wash, treat, and moisturize. It was completely boring, but it was what my skin needed. I still love a super simple skincare routine. I think so often, particularly for those of us who are beauty junkies, we want to use EVERYTHING, but that's not always what's best for our beautiful little punims. That being said, now that there's a great distance between me and my super-sensitive, acne-prone, Accutane-addled complexion, I have slowly been returning to some skincare staples that I had pushed aside for a long, long time. Mainly: Face masks. Oh, how I love a face mask. In fact, I used to be a bit of a face mask junkie. If we're being honest (and since each and every person reading this is my BFF, I'm always honest with you), my first true love may have been Clinique's Deep Cleansing Emergency Mask. I openly wept in the middle of the street when I found out it was discontinued, screaming to the heavens, "My true love is DEAD!" I was craving a return to the Wonderful World of Face Masks, so I shuffled off to Sephora and picked up two options I'd never tied before, but had heard great things about. Both are awesome, both and worth buying, and both have renewed my love for a good maskin' and made my heart soar once again. GlamGlow masks are somewhat controversial, in that they are loved for their effectiveness and awesome ingredients, and positively loathed for their price tag. Luckily for those of us who are apprehensive of shilling out big bucks just to try something new, Sephora offers a 0.5oz sample size for $19. I've been using this mask for a few weeks now and I think I've come to the conclusion that the $19 baby pot is a great value, but I don't think I'll be buying the $69 regular size anytime soon. I LOVE what this mask does for my nose. I have a super oily, blackhead prone nose, and this is positively amazing at making my pores look smaller and diminishing the appearance of my blackheads. I really love to stare at my masked nose when I have this on and see how it's diving right into my massive pores and dredging up all the gunk. But the amazing way I can see this mask working on my nose doesn't happen on the rest of my face. I've used this mask on just my nose, and on my entire face, and I've come to the conclusion that I just don't need the GlamGlow treatment all over. Hence, why I think the $19 option is a great deal and I'll definitely be repurchasing it. If your face would like to be GlamGlowed all-over, the smaller pot is still a significant amount of product. I'd say you could do at least 6-8 full-face masks with it. As a nose-only product, I think I could get a few months of masks out of it easily. I bought this mask because I liked the idea of a clay mask that also has the added benefits of charcoal. Now THIS is a treat for my whole face. This mask makes my skin feel deeply cleansed without also feeling like I've completely stripped it. Another added benefit may seem simple, but to me it makes a big difference, and that's the packaging. I LOVE that this mask comes in a tube. It's just so much easier to apply. 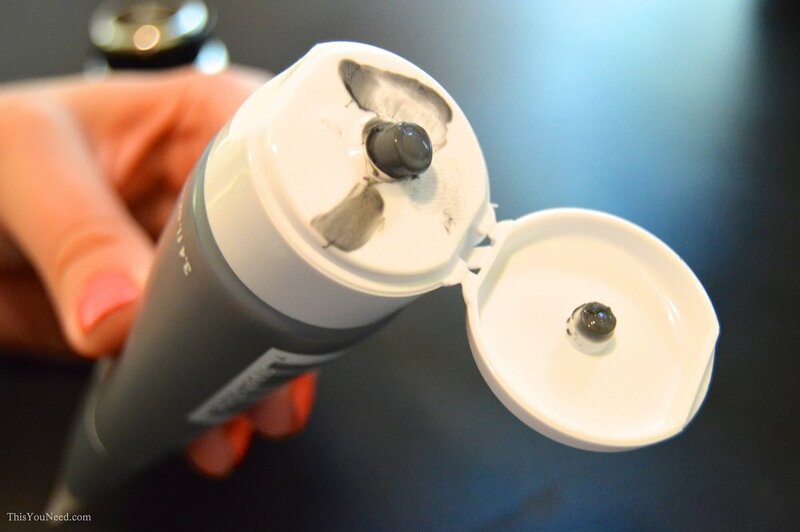 It's tidier and easier to control how much product you actually use. Plus, this charcoal mask comes in two sizes, so you can get a baby size and take it for a test run if you want. I like to apply a thin layer, wait about 15 minutes, then use a washcloth soaked in warm water to gently wipe it away. I do this twice a week, and it's become a special treat that I look forward to. I come home at the end of the day and I'm like, "Hey, skin, thanks for holding my face on, here's a special little something to show you how much I care." Actually, now that I've been experimenting with these masks for a few weeks, my absolute favorite routine is to use them in tandem twice a week. 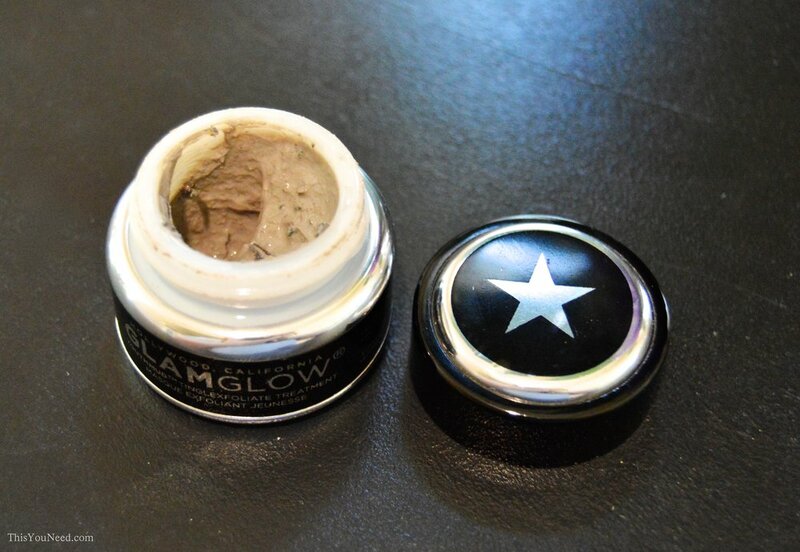 The GlamGlow is of course for my nose area, and the Origins is for the rest of my face. It's a system that I'm loving , and it's a nice return to my previous life as lover of all things face mask. Aug 7 What's Old is Leather Again. Wait... What?